I am so tired. When I say tired, it is not the tiredness that comes from no sleep due to an infant or sick child in my home. No, this tired comes from mental exhaustion of raising kids – especially teenagers. I love my kids dearly, but there are times when I get a little weary of their attitudes. I know that they are not able to think outside of their own little worlds, but it doesn’t change the fact that I am tired of making tough decisions. I feel like I am a “mental watchdog” all the time. Watching out for evil to strike them down. Watching out for their bad choices to pile up and explode. Ensuring that my attention is not diverted while they sneak away in the other direction. It is tough mental work to raise teenagers. The weird part is – my teenagers are pretty easy – most of the time. I have friends who really have struggles with their kiddos – way beyond what I am experiencing. When I hear their stories, I can feel their weariness. Their “mental guard” is draining. It makes my issues seem small and minor – yet I am still tired. Why does God put us parents through the teenage years? Couldn’t He have just skipped those years? After all, didn’t we go through enough when our kids were infants and toddlers? Remember the days when you thought things would get easier as your kids got older? The development of the brain is a beautiful process, and it was created by God. Our kids will slowly begin to think outside of their own world, but in order to get to that point they experience this “selfish” phase. The phase where they make choices based upon what is best for them. This allows them to discover the power of free will. It uncovers a world of choices and circumstances that will alter their adulthood, sometimes for good and sometimes for bad. As a parent I have to stay on guard to ensure that these free will choices won’t affect their spiritual growth. That is hard work. I truly believe that all those teens who face difficult obstacles early on in life, will be our strongest leaders in the Christian faith. God has plans for those teens that we cannot possibly imagine. So, our job as parents is to reinforce the importance of faith during these difficult times. As parents we must model this. 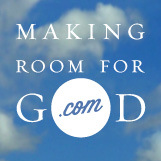 We must show our teenagers that when we make mistakes, we go to God. We ask for His strength to turn things around. We admit that we made a mistake, and we go directly to Him for help. I think of Jesus’ journey to the cross, and it reminds me of my journey of parenting. His journey to the cross did not last forever. It was a small portion of his life here on earth. We focus so much on it that it seems like it lasted forever, but it didn’t. I cannot help but think that Jesus’ eyes were focused on the end result, not the current circumstances of the torture he endured. Parenting is the same way. There is so much hardship, torture and jabs at our faith life that it can become overwhelming when we are in the midst of struggles with our kids. Yet somewhere amongst all of that bad, there is the beauty of the outcome that we know lies ahead. The beauty definitely outweighs the hardship that we must endure to get there. Focus on the outcome, not the circumstances. This entry was posted in Faith, Family, God, Jesus, Religion, Social Justice, Uncategorized, Women and Christianity and tagged Faith, focus on outcome, free will, parenting, selfishness, teenagers. Bookmark the permalink. Wow! You hit that one smack on the head. You are very young to understand that your wisdom is smack on! Now that I have adult children, I can look back and say that I needed to be vigilant more when they were teenagers. I was not a very popular parent nor place where the kids wanted to come over and spend the night . Now, my boys are 24 and 29. They actually thank me. Trust me when I say, they hated me at the time. I spent a lot of time in prayer wondering about my skills as a mother. Mother Mary was my guide, and continues to be. My God bless you as you continue to help others continue their faith journey. Thanks Sue! I needed to hear that! It is hard to be a parent and so many times you feel rejected by your decisions, yet you know they are the right decisions!